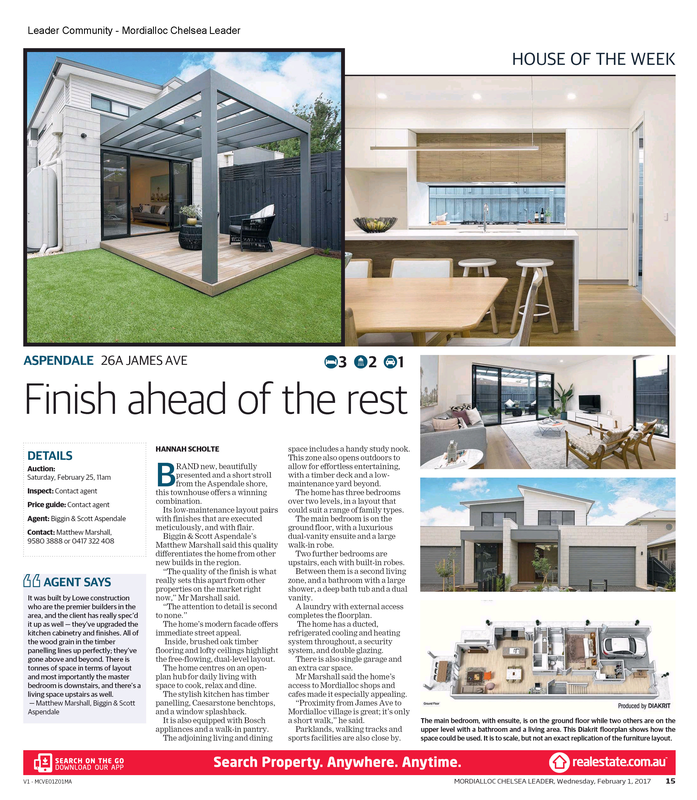 The Lowe Design & Build townhouse at 26a James Ave Aspendale was recently featured in the Mordialloc Chelsea Leader, as the House of the Week. Property Editor Hannah Scholte comments: “Lowe Construction are the premier builder in the area. 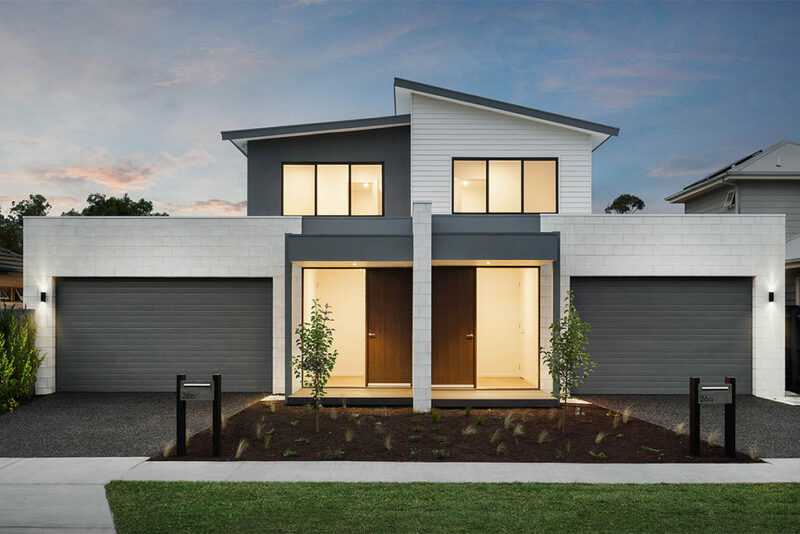 The home is beautifully presented, and offers a winning combination with finishes that are executed meticulously. This quality differentiates the home from other new builds in the region”. View the newspaper article here: [Article].